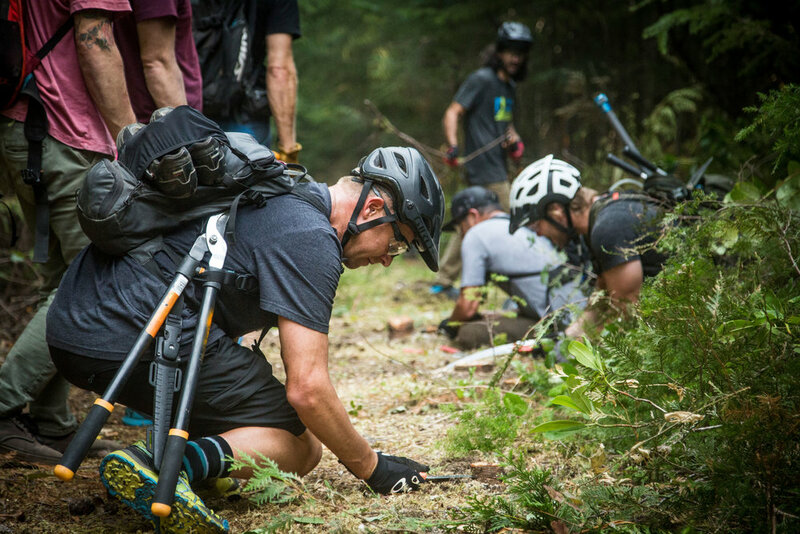 Prior to the race, we are hosting three summer work parties to put in some long hours rehabilitating some old-school trails in Washington and a project in the Old Cascades Crest, the area we re-opened last year. If you sign up in advance, we’ll provide food and drinks to keep everyone fuelled. Our goal is to find trails that are unmaintained and unridable, and rehabilitate them back to riding standards. 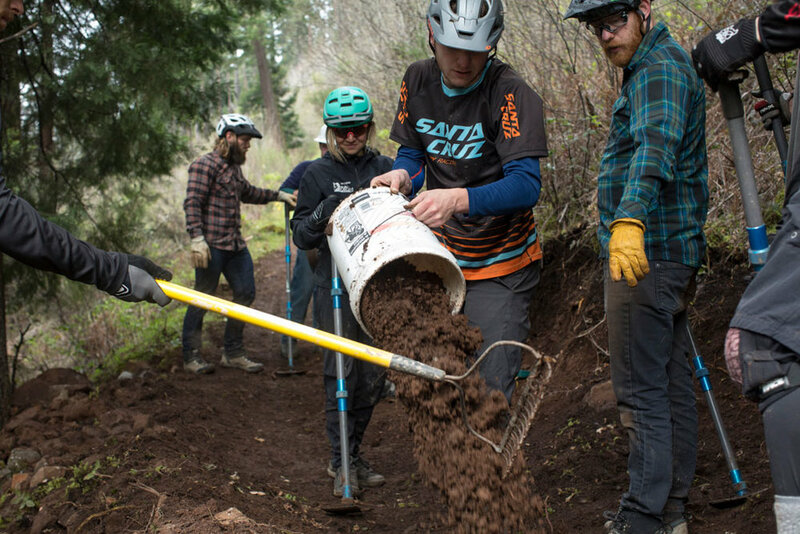 Last year, with the help of a great crew and 2000+ hours applied, we revitalized 32 miles of trails in the Old Cascade Crest. We got them ready for the race and for future generations to enjoy. Our work weekends are open to everyone, no trail building experience necessary. To make sure everyone is on the same page, we’ll provide trail building etiquette and skills education on day one of each event. We are also looking for folks that are chainsaw certified, those who can run a power brusher, and volunteers with dirt bikes or e-bikes. Pack your tools, your tent and your bike. Check your calendars: these parties will run over 4-day weekends in the summer. Joins us for one, or all three. Older PostPRESS RELEASE: Trans-Cascadia Announces 2018 Dates!